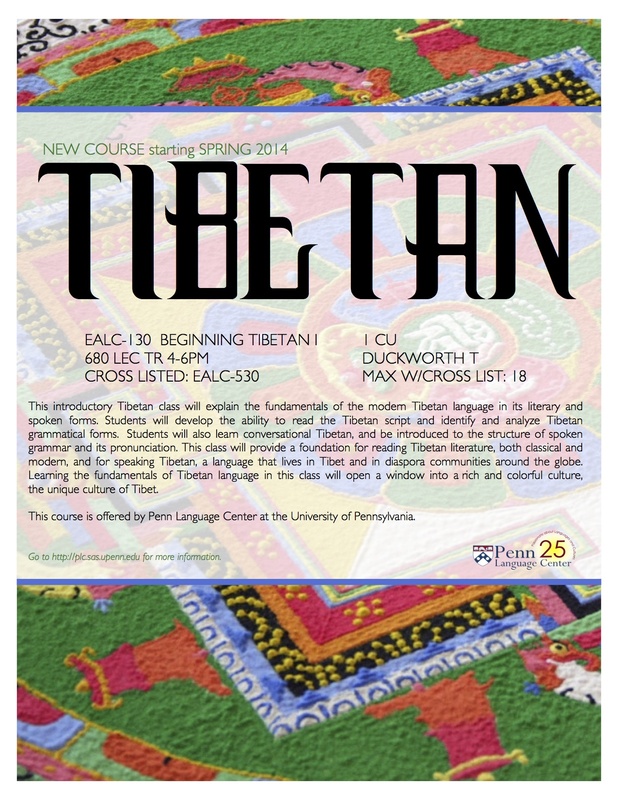 Penn Language Center is excited to add another language to its vast course offerings. Beginning Tibetan will explain the fundamentals of the modern Tibetan language in its literary and spoken forms. Students will develop the ability to read the Tibetan script and identify and analyze Tibetan grammatical forms. Students will also learn conversational Tibetan, and be introduced to the structure of spoken grammar and its pronunciation.